Dominique Smith is the director of student services at Health Sciences High & Middle College, where he also serves as a culture builder and student advocate. He is also social worker, school administrator, mentor, national trainer for the International Institute on Restorative Practices, and member of ASCD's FIT Teaching® (Framework for Intentional and Targeted Teaching®) Cadre. He is passionate about creating school cultures that honor students and build their confidence and competence. He is the winner of the National School Safety Award from the School Safety Advocacy Council. Smith is the coauthor of Better Than Carrots or Sticks: Restorative Practices for Positive Classroom Management and Building Equity: Policies and Practices to Empower All Learners. He holds a master's degree in social work from the University of Southern California. 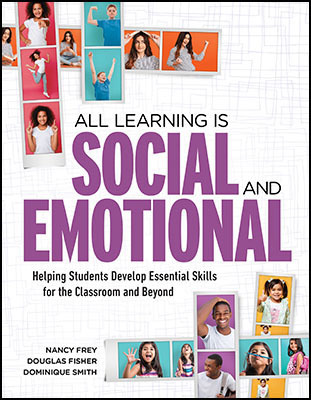 Introducing a comprehensive approach to SEL that's easy to integrate into everyday content instruction, no matter what subject or grade level you teach.